Currently, there is a paucity of the literature describing the natural history of cholelithiasis (CL) and choledocholithiasis (CDL) in adolescent children. This study aims to analyse the changing demographics of paediatric and adolescent gallstones. 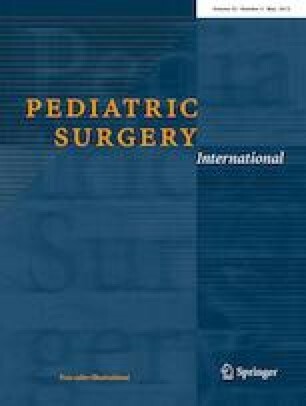 Retrospective review of all children (Age 0–18 years) presenting with symptomatic gallstones over the last 15 years (2002–2017) at a single tertiary institution. Demographics, diagnostic and therapeutic information were collected, with a 5-year median follow-up. Statistics were accomplished by Chi-squared analysis of trend and Student t test. 188 children were seen with symptomatic CL. In the 0–11-year-old group, there were 13 females and 16 males (0.8: female to male ratio). There were 130 females and 29 males in the 12–18-year-old group (4.5:1 female to male ratio). The mean weight at presentation was 81.78 kg and the median age was 16 years. Idiopathic gallstones were found in 131 patients (82%). 137 required cholecystectomy (86%) and ERCP was required in 32 patients (20%). 48 adolescents (30.2%) with gallstones had an associated CDL, compared to six children (20%). All of the adolescent patients with CDL had idiopathic gallstones. Gallstone pancreatitis was noted in eighteen adolescents (11%) and one child (3%). We analysed the ideal time to operate on adolescent patients with symptomatic gallstones using the relationship between the length of delay from initial diagnosis to definitive management of CDL and incidence of complications. The analysis demonstrated that for every 10 days treatment was delayed, the risk of subsequent presentations with a symptomatic episode was increased by 5% (p = 0.0004). The current trend of gallstones in adolescent children seems to be a disease primarily of adolescent girls. Symptomatic idiopathic gallstones in adolescents are associated with high rates of common bile duct obstruction and pancreatitis and consequently warrant an early cholecystectomy for all adolescents.